Over time, the worth of a home will fluctuate up and down. By and large, house values appreciate in the long term. But, in real estate there is always a certain amount of risk. When your house appreciates you have more equity to borrow against, and you'll make a bigger profit when you sell. There are many different reasons why property values in Tustin rise and fall. So, how will you be sure what you're investing in now will appreciate over time? The most important aspect is that you select a real estate agent in Tustin who is familiar with the factors that affect local prices. The economy is assumed to be the major factor affecting real estate appreciation. It goes without saying that interest rates, unemployment, business growth, government programs and a handful of other national determinants have a measurable impact on your property's value. But the most influential factors that figure your home's value depend on the local Tustin economy and residential market. Location in a community - Being close to schools, work and amenities like shopping, restaurants and entertainment is a priority to a lot of families and will greatly influence home values. So those communities generally appreciate, or hold their value, best. The latest home sales - You should receive data on the recent real estate sales in the neighborhoods that you're interested in from your agent. You'll need to know figures like how long a house stays on the market and seller discounts. The appreciation history - Is the area considered desirable because of its location or affordability? Have house prices gone up or down over the last 5 to 10 years? Local economy - Is there a fair mixture of work in an area, or does it rely upon just one industry? Have businesses moved into or away from an area? Are local companies hiring? All these play a role. It's smart to learn about the factors that influence your home's value. 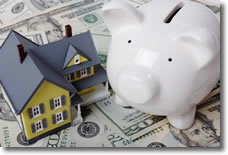 Visit this link for an assessment of your property's value. Please call me at 714-321-9800 or e-mail me with any questions.